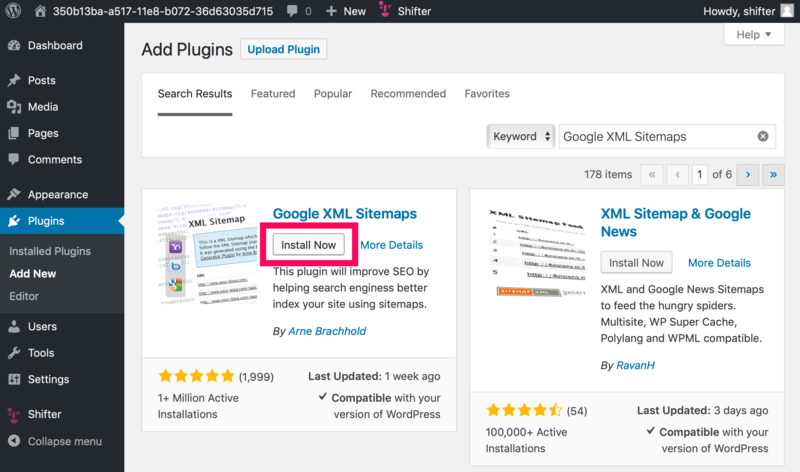 If your plugin support the below feature, you can generate XML sitemap too. 1. After starting WordPress, install Yoast SEO plugin and activate it. 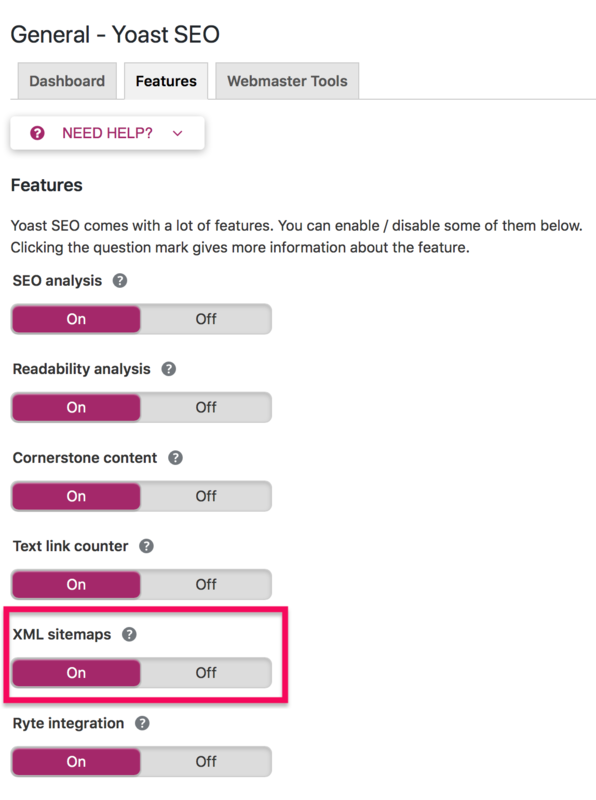 2.Enable [XML sitemaps] under [Features] tab on [General] menu. Virtual robots.txt is generated. Let's access it. https://134bbb1e-980e-11e8-8fe5-ee22392b58ae.app.getshifter.io:43788 , add /robots.txt to tail of that URL and access it. Navigate to URL of Sitemap which is displayed on robots.txt. After checking sitemap file, let's make it public. 6. Check robots.txt file again. Access your Shifter site adding /robots.txt to the tail of the URL. 7. Check sitemap file again. The search engine's crawler will access XML Sitemap file through robots.txt. 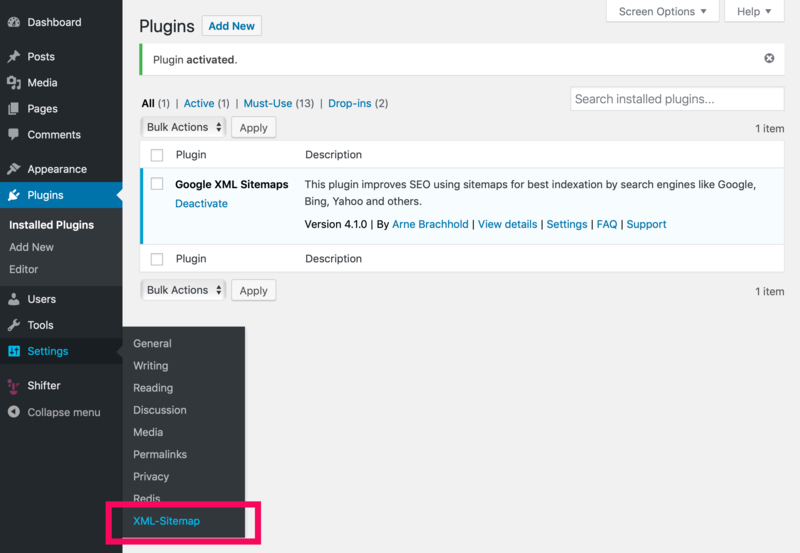 If you already installed Surbma – Yoast SEO Sitemap to robots.txt, it will be removed from your plugin directory with the following error. But never mind Shifter use it as Must-Use plugin and avoid to multiple installed Surbma. 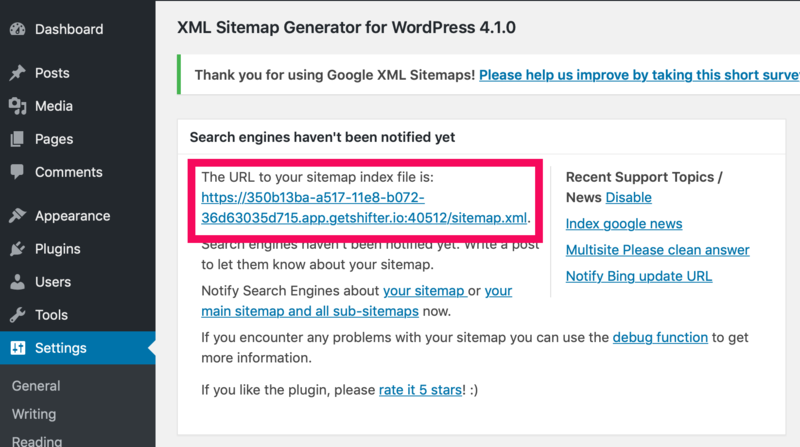 Sitemap's URL on app will be like this: https://134bbb1e-980e-11e8-8fe5-ee22392b58ae.app.getshifter.io:43788/sitemap.xml .